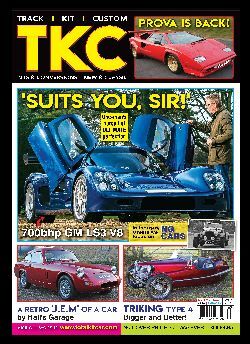 LATEST ISSUE packed with goods stuff of a specialist car nature. Features a customer-built ultimate Ultima Evolution, Prova qv5000, Triking Type 4, Hall's Garage J.E.M and much more including NG CARS (Nick Green) in INDUSTRY GREATS. Choose this option if you live in the UK.